Hello crafty friends! 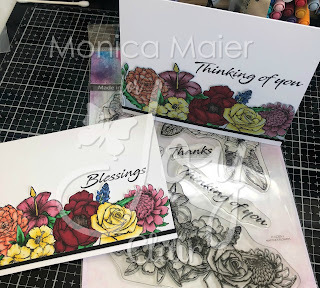 Today I have two cards using the Martha's Flowers stamp set from Joy Clair's recent release. Visit the Joy Clair blog here for my full post and all the details!